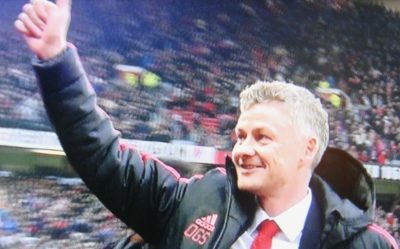 Norway’s triumphant football coach Ole Gunnar Solskjær is still expected to return to his head coaching job at the Molde Football Club, even after making history at Manchester United by leading his former club to six victories in a row including Sunday’s win over top-league Tottenham. His colleagues at Molde are enjoying Solskjær’s success in Manchester, but his substitute in Molde, Erling Moe, is among those looking forward to his return. Solskjær is also following his club in Norway closely. “There are some changes now that I’m head coach, but I discuss things with Ole Gunnar,” said Moe, who’s leading Molde from the bench this winter and spring after Solskjær agreed to serve as temporary manager of Manchester United when it fired José Mourinho just before Christmas. 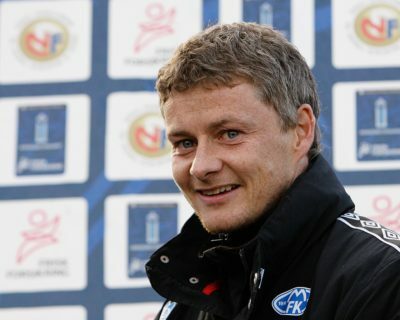 Moe told Norwegian Broadcasting (NRK) that he has “lots of contact” with Solskjær, who’s still involved with Molde despite having plenty to do at Manchester United. Molde player Vegard Forren also expects Solskjær to return. “It’s positive for both clubs that Ole Gunnar is over there (in Manchester) now,” Forren said. “He’ll hopefully come back even stronger. He’s good at giving players both freedom and responsibility. 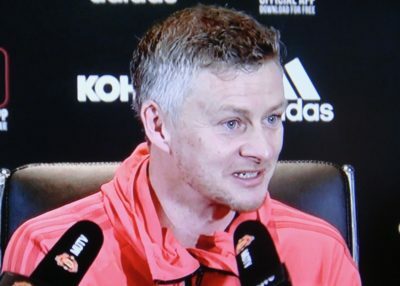 I’m not surprised Ole Gunnar is doing well over there.” He added, though, that “if Ole Gunnar does so well that he doesn’t come back, that’s fine, too.” His Norwegian players will clearly be proud of his achievement. Solskjær is already doing very well indeed, so well that Manchester United is on a roll. Players are jubilant, fans are ecstatic and the club’s management is mighty pleased, as is former legendary manager Sir Alex Ferguson. Solskjær, who had his own legendary football career as an active player at Manchester United under Ferguson, was welcomed back with open arms and has since led the club to one victory after another, noting that he’s regularly getting advice from Ferguson. “The cheering says it all,” wrote Norwegian football reporter Odd Inge Aas after covering a match in Manchester for Oslo newspaper Aftenposten. “Faith and hope are back at Old Trafford.” Solskjær’s debut back at the legendary Old Trafford stadium on England’s Boxing Day, the day after Christmas, was a roaring success, with a 3-1 victory against Huddersfield. Before that he led this team to victory over the club where he did not succeed as manager, Cardiff. The win over Tottenham at Wembley Stadium on Sunday had been considered Solskjær’s first real test. The London club is in third place in the top league, far ahead of Manchester United and its coach, Maricio Pochettino of Argentina, has been mentioned most as the top candidate to win the permanent coaching post at Manchester United from next summer. Solskjær took to the field in his calm, low-key style and his players shut out Tottenham, winning with a score of 1-0. Solskjær thus passed his test with flying colours as well, a feat that left him with six victories in a row in his first six attempts, something no one else at Manchester United had accomplished before him. There was also lots of praise for goalkeeper David de Gea, who stopped 11 goal attempts by Tottenham. Solskjær has drawn, by the way, record numbers of viewers for TV2, which has the rights to broadcast Premier League matches in Norway. His first match at Old Trafford in Manchester was seen by 598,000 people in Norway. “These are crackling numbers for us that confirm the fairy tale of Solskjær and the interest in the Premier League in Norway,” stated TV2 sports editor Vegard Jansen Hagen in a press release. Solskjær himself seems to be enjoying every minute of his return to Manchester United but has also claimed he will return to Molde. He said understands the speculation about Pochettino taking over on a full-time basis. “He (Pochettino) has done a very good job (at Tottenham) and there’s reason there’s speculation (that he’ll be hired by Manchester United) because he’s done so well,” the modest Solskjær told reporters during team training in Dubai. Most importantly, perhaps, his players seem to appreciate him, with Jesse Lingard, for example, recently praising his good communication skills. “He’s good one-on-one with the players and at getting the best out of us,” Lingard told the Manchester Evening News recently. That sounds much like the players in Molde, so whatever happens in May, he’ll have his team behind him.